Grain elevator in Meota, SK, May 2018. Copyright by BW Bandy. 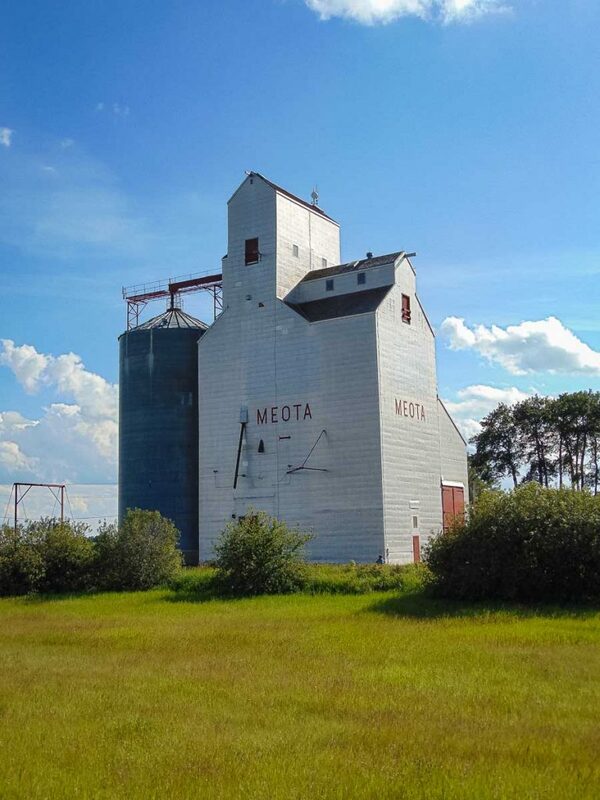 There is an ex Saskatchewan Wheat Pool grain elevator in the town of Meota, SK.